I know I've been there.....What I do now before I set out to do something is make a list of what I need....then I start looking for the stuff on that list about 2 days before I plan on doing my project. I've found by doing this it saves me tons of time .....lol...but it still doesn't feel quite right if I don't walk around the house muttering "where the heck is that thing"? Your not alone. I started looking for my door weatherstrips about 2 weeks ago and finally found them over the weekend. I knew they came in plastic packaging and that's what I was looking for. As it turned out I had taken them out of the packaging at some point to compare to the old weatherstriping I had removed and left them laying in the box full of old rubber stuff I was going to throw out. But finally found them! One more thing, the more space you have seems like the further things can get away! My education of these cars has grown x100 since I joined the fourm. First thanks to everyone and second the investment of reading and working on the car a generation later. 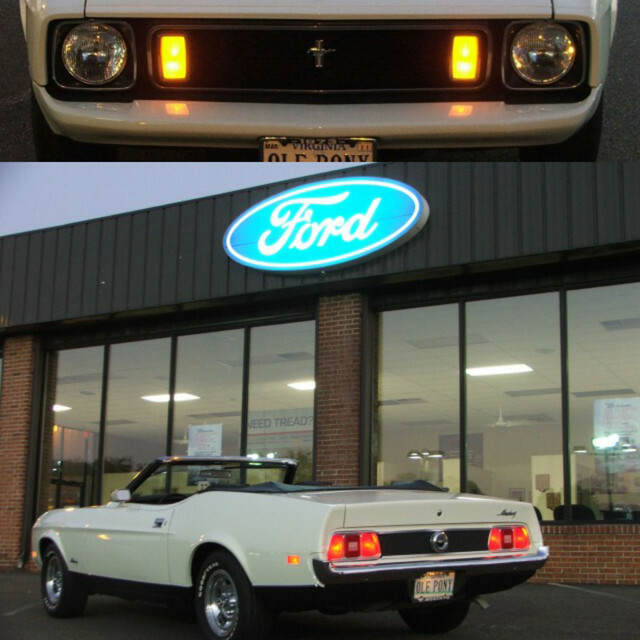 I did not see alot of 71-73 when I work at Ford execpt for dealer prep. New cars had a 12/12 warranty, and I remember doing mostly electrical problems and water leaks. Wheres the dum-dum rang out all day.